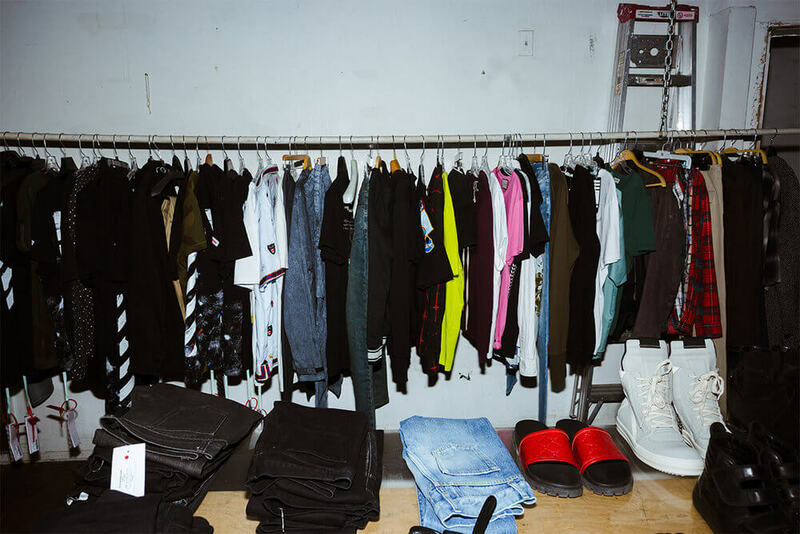 Hailing from Toronto is a young start up consignment boutique called Antoinette who stock a range of brands from Saint Laurent, Off-White, Yeezy, Chrome Hearts and more. I first came across the store while searching for a pair of Saint Laurent Wyatt Boots and was blown away by the curation of the store and the price of products, ultimately cheaper than elsewhere online - after some research it led me to discover Stefan, one of the co-founders behind Antoinette. After reaching out and bonding on similar interests it seemed natural to extend an interview about how young 21 year old is creating an e-commerce empire in Canada. So Stefan, who are you, what do you do and where are you based? How did Antoinette start? And how exactly did you turn it into a business? Were you interested in business growing up at all? Did you see yourself becoming an entrepreneur? That’s awesome to hear that mindset was instilled from a young age. What were some of the challenges and obstacles you faced with starting Antoinette and moving forward with the idea? On the site how do you balance between hyped items such as Off-White, Yeezy’s etc. with more of the menswear? Is that a constant conversation internally on what to focus on? Does one brand or style outweigh the other for you guys on the store? I must admit the Saint Laurent selection has me tempted all the time and it is truly an awesome and diverse range. Now obviously the scene has changed a lot recently in reselling and second hand goods with the likes of Grailed, StockX, Facebook Groups and more. What do you guys do to stand out in the marketplace? ”Antoinette stands out against the others - we’re not just a selling platform. We take in client’s items, authenticate, sell and ship out and our clients don’t have to do anything but just collect their money at the end of the month. When you come to shop with Antoinette, you know you will be purchasing only authentic item’s. We also strive to offer personalized customer service, something the other platforms mentioned do not." I love that, a more personal and tailored service that we can relate to. Tell us a little more about the Canadian fashion scene, what are the consumers there interested in? As well as this do you have to tailor your stock to them? 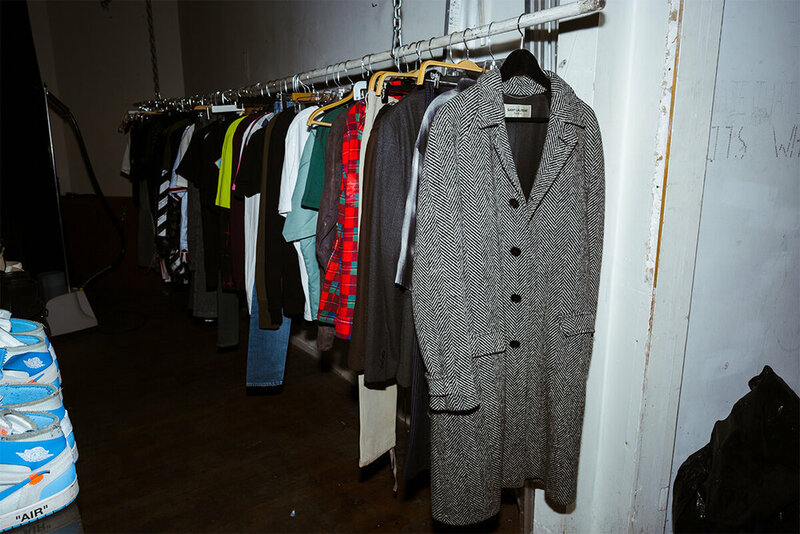 ”The fashion scene in Canada is not like anywhere else. Everyone here is all about the hype of Yeezy’s and Off-White Nike’s and not much of the ready-to-wear style of fashion. Men’s fashion in Toronto is suffering so bad that they plan to stop doing Toronto’s Men’s Fashion Week. Are most of your customers Canadian or international? At Antoinette we get customers from all over the world. From Hong Kong to Mexico to Denmark we have seen it all. Most of our customers come Internationally. We see it’s a lot harder to locate some brands in these small countries and that’s where we come in to fill in that gap. In the summer of 2017 we opened our first pop-up boutique for one week in the heart of downtown Toronto giving the city the access to archival and newer season desirable items they could not get their hands on anywhere else. Having the physical store gave the consumer the ability to touch, see and try on the item in person instead of just going off a photo when buying online. What are your goals with Antoinette for 2019? We’re only few days into 2019 and we are already moving full throttle. We have outgrown our Toronto office and currently in the works of opening our flagship store in Toronto to be offering an consignment experience like no other. Thanks so much for your time Stefan! Looking forward to seeing the progress of Antoinette through 2019.